The buzzwords today are ‘Net-neutrality’, ‘Do-not-track-list”, and ‘Wikileaks”. FCC Chairman (The guy who basically controls the internet) unveiled a plan where some Internet users could be paying higher fees for the more they use the internet, basically bringing back the 1980s; Pay-as-you-go-internet, and limited download speeds. Read more here as USATODAY. 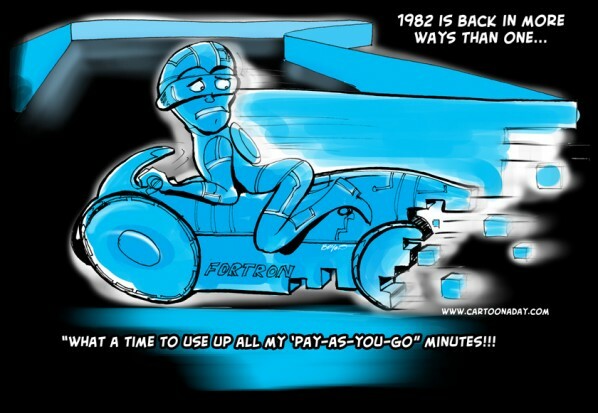 A cartoon of a TRON rider, one a virtual Bike. The Bike is de-rezzing.